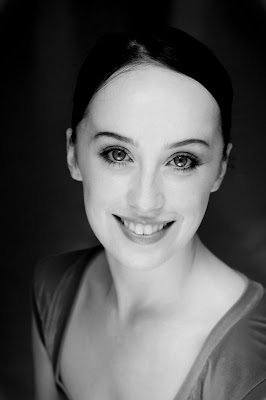 I recently interviewed Désirée Ballantyne, a Soloist from English National Ballet, for my "Cupcakes & Conversation with ..." series. Désirée studied at the Royal Ballet School (White Lodge, in Richmond Park - at almost 2500 acres, it is the largest Royal Park in London and is home to around 650 free roaming deer). I caught up with Désirée again to talk about her student days. Can you tell me about your time at White Lodge ? I will always remember my first day so clearly, standing at the foot of my bed in the dormitory and looking out at the faces of all the other 11 year old girls who were just like me, all with the same hope and dream, to become a ballerina. Standing there, I felt like I was at the beginning of a journey. The 5 years I spent at White Lodge were information packed and so much of what I learnt invaluable - in fact, the lessons I learnt at White Lodge have become fundamental to who I am now. I remember being told one day that everyone I would meet during my time in the school would become people I would end up working with professionally. It is so true! I now work with many people I went to school with! Performing first and foremost, and also I was always so proud to be able to show the endeavours of that year’s hard work to my parents. Not only was it a great privilege to study in a building with such historical significance, but also inspiring to think of all the great dancers who had trained here before me and to hopefully be following in their footsteps. It was incredible to be able to study in the midst of such beauty and wildlife. There was nothing like waking up every morning to such magnificent views and hope to catch a glimpse of a deer in the distance. Yes we would often go for walks in the Park and we were allowed to go to Sheen on weekends as of 3rd year; by the 5th year we were allowed to go to Richmond. I can't remember in exact detail but I performed in various historical and National dances. Did you ever meet anyone famous ? Darcey Bussell stood out among other prominent figures of the ballet world. Darcey came to the school one afternoon to talk to us about life as a dancer, it was very inspirational. I remember the studio we were auditioned in very clearly, even though as a Junior Associate I was used to going to Barons Court. It was almost as if that day the studio had a certain weight to it, it was where I wanted to be. Also I remember the nervous wait for the interview where we'd hear the result of the audition! It is an incredible opportunity for anyone in their lives to be able to end up doing the job they want to do and love, hence my advice for any aspiring ballet dancer who really wants to succeed is to make every second count in the studio because it is that culmination of every drop of sweat, blood and tears that will get you to where you want to be. You can read more about the Royal Ballet School students dancing at the Richmond May Fair here. Here is a report on this year's Open Day, held on a blazingly hot day to full capacity. Incidentally, the exquisitely beautiful and delicate sculptures of dancers by Richard MacDonald (pictures in the report) are still at White Lodge, if you want to see them (see below for details of the Museum). Thank you so much for visiting my blog. I really appreciate it. I am going to take a little time to peruse through your blog. I love ballet, but have never seen a live performance. That is on my bucket list to do someday. Dear Elise, tx for visiting me and liking my blog! Bcoz of my tight schedule at work, i'm unable to blog these days but i miss blogging a lot!!!!! Will come to ur blog again once i'm free! Just wanted to say thanq! Hello Elise, thank you for visiting my blog and leaving such a nice comment. I have enjoyed reading your blog. What a beautiful world ~ Ballet. I am so happy you stopped by for a visit to "Home is Where the Heart is". I am pleased to meet you. What a wonderful job and blog you have. I love the ballet, the dancers are so beautiful. I just wanted to say thank you for the lovely comments about my blog! I am now following yours - as a former ballet dancer and avid theatre goer (I go to pretty much every ballet in London) yours is of huge interest to me too so I look forward to reading it! Hi Elise! Thank you so much for dropping by my blog and leaving such a lovely comment! Your blog is beautiful. Is there anything more beautiful and elegant than ballet!!? My daughter Eleanor has just finished her first year at White Lodge....home for summer (we live 204 miles away)she has just read your article, seated on my lap. She has a huge grin from ear to ear, as she nods knowingly at all that is written. Your blog is very special to this family. Thank you. Your blog is beautiful. Congratulations on casting such an inviting glow on the world of ballet. I have yet to take in a performance of the National Ballet in Scotland, but I will let you know when I do! What a wonderful interview! It's wonderful seeing people follow their dreams and make them a reality! I'm so impressed!! I love the ballet, and I use to teach ballet a long time ago. How wonderful your blog is! Thanks for visiting mine and for your sweet comments. You a profession writer, me not so much!! hello Elise...thanks for stopping by my blog today, your pictures are absolutely lovely. you're the lucky one to be knowing so much about ballet! that's awesome. i've never seen a real live performance, I definitely want to do that someday! I am so delighted you stopped by Curly's Corner and liked my spot. When my great-niece was little, she took dance and the school put on Swan Lake. Of course, the older kids did the ballet, and they were very good. I can tell you love what you do. How wonderful to be able to get to know the dancers! I love ballet, and did it for a little while when I was young. Thanks for sharing this great interview, and thankyou for stopping by and commenting on my blog. Cheers! Hello! I just wanted to thank you for stopping by my blog and the kind comment. I think your ballet pictures are just breathtaking! I secretly always desired to be a ballerina, but my Mom put me in music instead. Piano, then violin were how I spent my childhood afternoons. I don't regret it though.. Please feel free to stop by again to 'Smiling at every Sunrise' and thank you so much for the lovely comment! Hi Elise, thanks for stopping by. I used to do ballet along with flamenco and tap when I was younger. I've made a few feeble attempts to return but never really stuck to it. I rencetly signed up to a year long course so I will see i through this time. Lovely feature, I'm going to make time to read through older posts too. Clare - you're welcome ! Brian - what can I say ? The ultimate compliment ! Thank you. So lovely to know that you enjoy my posts and that they resonate with Eleanor & your family. Columbia Lily - thank you and welcome ! Manju - you must see a live show ! There is nothing quite like it - it's hard to capture on film and you need to experience it first hand... let me know how you get on ! lolly-jolly - join the club ! whimsicalpam - welcome and thank you ! Thank you so much for stopping by my blog and the sweet comments you left! I am off to look through yours!! I took ballet when I was a child but it never stuck!!! hehehe! Thanks so much for stopping by my blog. I love having visitors! Your blog is so interesting. What a great idea. what a lovely blog -thanks you for visiting mine and your lovely blog! I have a post planned soon of ballet photos..
AlyGatr - How lovely ! Thank you for your comments and welcome. I hope you will keep us posted as and when your daughter reaches the stage ! And to hula ... well, that's a talent too ! Cynthia - thank you for your lovely comments and welcome ! Thanks for your fantastic blogs I read them all the time!